Baroness Cumberlege has been at the centre of healthcare policy for decades, chairing national Reviews and acting as a Government spokesperson in the House of Lords. After a period in Local Government, Baroness Cumberlege was appointed to Chair the Brighton Health Authority and subsequently the South West Thames Regional Health Authority. She was appointed a Junior Health Minister in 1992 and for five years she covered all Health and Social Services matters in the House of Lords. Commissioned by two Governments to produce two national reports, ‘Neighbourhood Nursing – a Focus for Care’ (1986) and ‘Changing Childbirth’ (1993), in 2015, Baroness Cumberlege was appointed to lead a major NHS Review of maternity services, which led to the publishing of its report, ‘Better Births - Improving outcomes of maternity services in England’, in 2016. She is Trustee of Cancer Research UK, a Senior Associate of the King’s Fund, a patron of the National Childbirth Trust, an Honorary Fellow of the Royal College of Physicians, and Vice President of the Royal College of Nursing and the Royal College of Midwives. 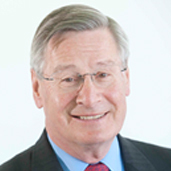 Sir Cyril Chantler has had a long and distinguished career in healthcare, holding such positions as Dean of the Guy’s, King’s College and St Thomas’ Hospitals’ Medical and Dental School. He was Chairman of Great Ormond Street Hospital for Children (2001- 2008), of the Clinical Advisory Group for NHS London (2007/2008) and of the Beit Memorial Fellowships for Medical Research (2003-2009). From 2004 until 2010 he was Chairman of the Kings Fund, London. He was non-executive Chairman of the Quality and Clinical Risk Committee of NHS England (2013-2014) and in 2014 carried out a review for the Government on Standardised Packaging of tobacco products. In addition, he served as a member of the Member of the NHS Policy Board (1989-1996), President of the British Association of Medical Managers (1991-1997), and a Member of the General Medical Council (1994–2003), where he was Chairman of the Standards Committee. He served for some years as an adviser to the Hospital Authority of Hong Kong and co-chaired the SARS expert advisory enquiry in 2003. 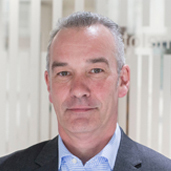 He was Chairman of the Shared Medical Record Committee of the Care Record Development Board of Connecting for Health, and has been involved in a number of inquiries into the provision of acute paediatric services in various parts of England. Sir Cyril is a Fellow of Kings College, London, and an Honorary Fellow of both the Institute of Child Health London and the Royal College of Surgeons. He received a knighthood for services to medicine in 1996, and in January 2017 was made a Knight Grand Cross of the Order of the British Empire (GBE) for Services to Leadership in Healthcare. Simon Whale is the third member of the Review team. He has worked on a number of major independent reviews in healthcare, with a particular focus on ensuring those reviews listened to those affected and communicated in a sensitive, accessible and thorough manner. He provided the communications and engagement support for the independent Review of Children’s Cardiac Services at Bristol, which was triggered by the concerns of a number of families whose children had died at the hospital. The Review’s report was the culmination of two years’ work. Most recently he was the communications and engagement adviser to the NHS Maternity Review, and orchestrated its nationwide consultative process involving thousands of women and families as well as health professionals and others. 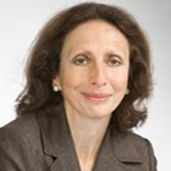 Valerie Brasse has enjoyed an extensive career spanning nearly 30 years in the public sector, predominantly in the field of health and social care. She began her career as a financial journalist and academic researcher, joining the Department of Health in 1987 as a Government economist and subsequently a policy lead. Her career spanned a number of key policy areas both in health and social care, including managing emergency winter pressures across the NHS, promoting child and vulnerable adult safeguarding, and developing the first cross Government good practice guidance for healthcare professionals in responding to presentations of domestic and sexual violence. In 2001 she was appointed social care adviser to the Victoria Climbie Child Abuse Inquiry and later joined the transition team responsible for setting up the Health Care commission. On leaving the Department of Health in 2006 Valerie was appointed to a number of independent boards and Commissions. She was Secretary to the Cumberlege Commission that reviewed safeguarding arrangements in the Catholic Church of England and Wales, non-executive founder board member of the Home Office’s Independent Safeguarding Authority (now the Disclosure and Barring Service), and was an independent member of the former Metropolitan Police Authority (MPA). Independent of the NHS and Government, the Review will conduct meetings with a broad range of stakeholder groups, including patients, patient campaign groups, regulators and health professionals. The Terms of Reference explain how the Review will engage with patient campaign groups and other stakeholders, its investigatory scope and what recommendations it might make. 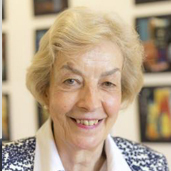 The Chair of the Review is Baroness Julia Cumberlege, supported by Sir Cyril Chantler as Vice Chair. Valerie Brasse is the Secretary and Simon Whale is the Communications Lead.